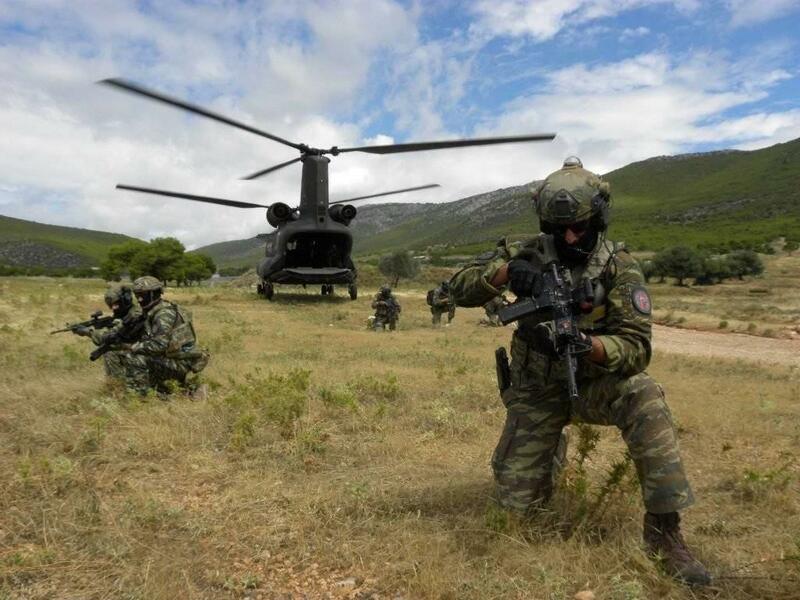 During the training together with the formation from the structure of the 1st Special Warfare Battalion from the 68th Special Forces Brigade and the Special Operations Forces of Greece, it were held exercises on alpine training, combat shooting, hostage release operations, evacuation of a casualty. For the purposes of implementing the operations, three helicopters and two F-16 fighters of the Hellenic Air Force were used. The Commander of the Hellenic Armed Forces Joint Special Operations Command Major General Nikolaos Flaris and the Commander of the Bulgarian Special Forces Brigadier General Yavor Mateev expressed a high opinion of the service members for the excellent fulfilment of the tasks and the deserving performance during the international joint training. The 68th Special Forces Brigade, being the unconventional warfare branch of the Bulgarian Armed Forces, is an independent branch, directly subordinated to the Chief of Defence since 1st February 2017. Before that the brigade belonged to the force structure of the Land Forces. The Brigade is one of the two Bulgarian military special operations units. The other one is the Naval Special Reconnaissance Detachment (NSRD), which is much smaller. The NSRD is a combat frogmen unit, belonging to the structure of the Bulgarian Navy. BulgarianMilitary.com recalls for you that up to 160 service members from the 68th Special Forces Brigade and Land Forces of the Bulgarian Army will take part in the NATO mission in Afghanistan “Resolute Support” and the official ceremony on the departure of the Bulgarian service members was held on 22nd June in front of the chapel-mausoleum “St. Georgi Pobedonosets” in the town of Pleven.